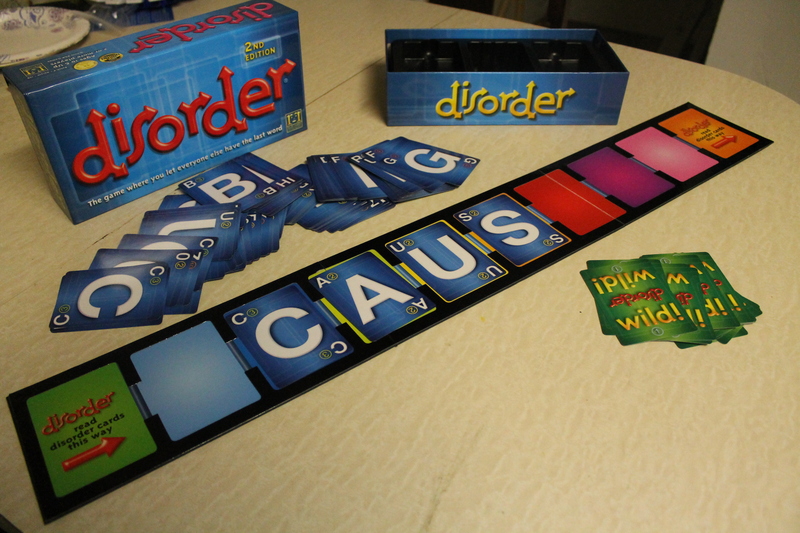 Disorder: A Game Where You Let Everyone Else Get the Last Word! Leave a Comment on Disorder: A Game Where You Let Everyone Else Get the Last Word! Try to spell a word, letter by letter, but also be careful not to spell a word– sounds pretty chaotic, right? Well, if not out and out chaos, it’s at the very least… disorder! 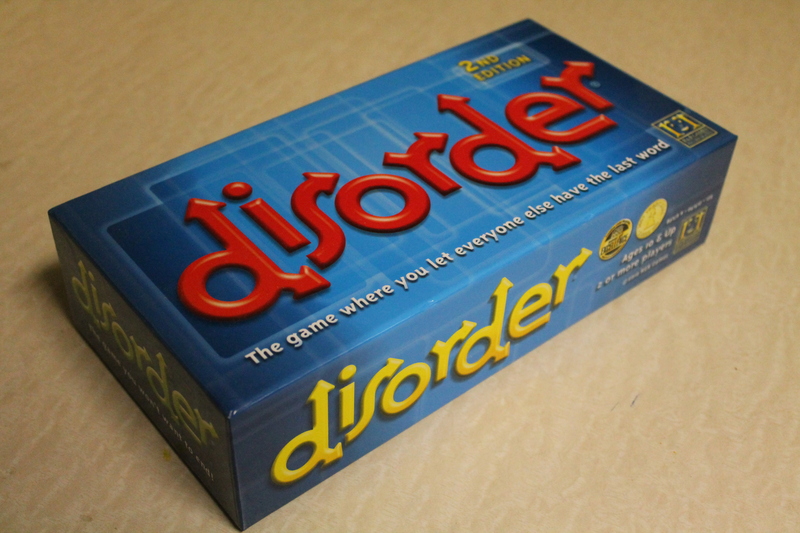 Disorder, a board game by R&R Games, challenges players to think outside the box as they place one letter at a time and try to force the other players to make a word. Whoever puts down the last letter and actually spells out a real word collects all the points, and the player with the lowest amount of points at the end wins. 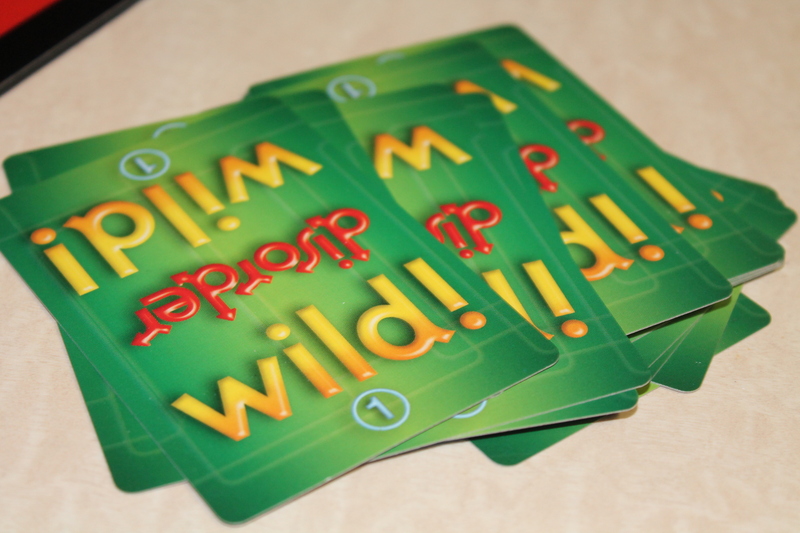 It’s a clever, strategic, and tense mix of hot potato and Scrabble that is sure to delight the whole family! 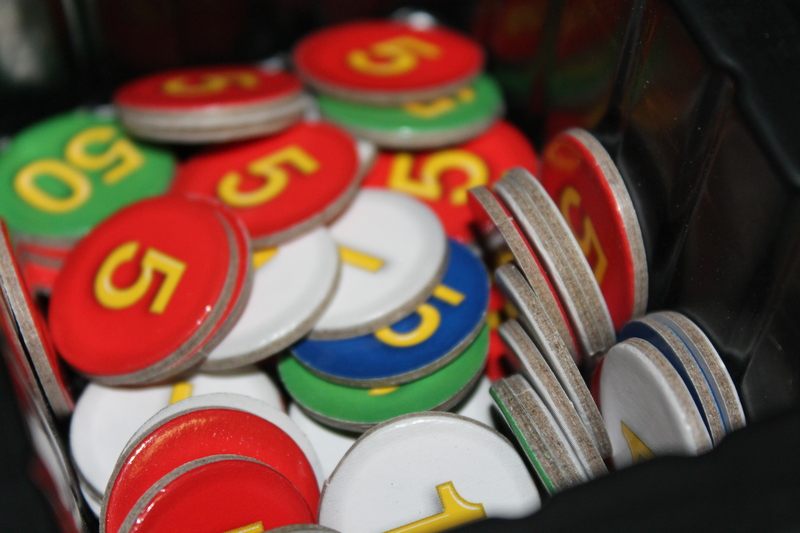 Each player’s score is tracked by coins bearing various point denominations (1s and 5s being among the more common tokens, while 25s and 50s, for example, are a bit rarer to come by), and games can be played to suggested stopping points of either 50 or 100 points, though longer or shorter matches are definitely possible. Here at NYCityGuys, we had a ton of fun trying out Disorder, and definitely recommend this game to anyone who loves words, strategy, and a good challenge!